web penetration testing and web security. they are built to teach you how to think like an attacker. 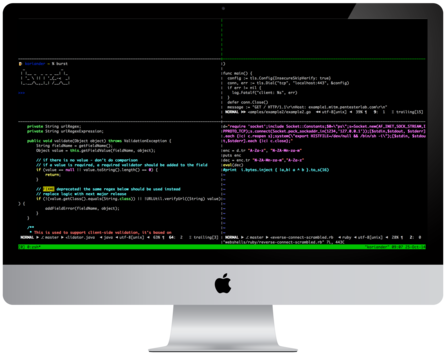 PentesterLab is an easy and great way to learn penetration testing. There is only one way to properly learn web penetration testing: by getting your hands dirty. We teach how to manually find and exploit vulnerabilities. You will understand the root cause of the problems and the methods that can be used to exploit them. Our exercises are based on common vulnerabilities found in different systems. The issues are not emulated. We provide you real systems with real vulnerabilities. We provide offline and online access to our system. 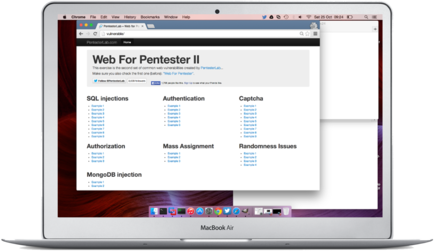 Online labs are available to PentesterLab PRO subscribers. Free and PRO offline exercises are downloadable as ISO and run using VMWare, VirtualBox or Qemu. Keep your security team on top of their game with PentesterLab PRO Enterprise. Use PentesterLab to make sure that they learn about the latest vulnerabilities and always have labs available to refresh their memory. You can also use to speed up onboarding of junior testers in your team. Get a quote!! Struggling with a payload? Not able to finish an exercise? With PentesterLab PRO we are here to help you. You will not be on your own. Just shoot us an email and you will get a quick reply with all you need to know to move forward. We are also making it super easy to get started with the Introduction Badge.